Eric Friesen’s name and voice are well known to radio listeners. 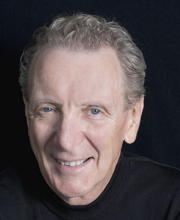 A long-time radio personality who has been called one of the most gifted broadcasters in the industry, Eric has hosted many CBC flagship programs, including All in a Day, The Eric Friesen Show, Onstage at Glenn Gould Studio, In Performance, and Studio Sparks. Born in Altona, Manitoba, Eric fell in love with radio at an early age and worked his first on-air shift when he was just a teenager. He has also worked in American public radio and recently created three major radio documentary series featuring Pinchas Zukerman, Emanuel Ax, and Peter Oundjian. Since leaving the CBC at the end of 2008, Eric has been busy serving a wide variety of major cultural organizations in Canada. Most recently, Eric helped launch Winnipeg’s Classic 107 radio station and is currently a consultant for Radio New Zealand Concert. He has also been a host on Minnesota Public Radio. Eric is past Chair of Kingston WritersFest’s Board of Directors and a nine-year alumnus of our stage. We simply couldn’t imagine a Festival without him. He and his wife, artist Susan Friesen, live on Amherst Island near Kingston.